When I first flirted with a career in the arts in 2009, the artistic leadership of London theatre was a bastion of white, male, middle-class privilege. A decade on, boards have finally pressed the reset button. Lynette Linton succeeded Madani Younis  at the Bush, who himself went to the Southbank Centre as creative director . Matthew Xia was appointed artistic director of Actors Touring Company , Suba Das at HighTide  and Tarek Iskander takes over at Battersea Arts Centre . They join Indhu Rubasingham, Kwame Kwei-Armah, Nadia Fall and Justin Audibert as major artistic leaders of colour. There is much to celebrate, but now another question arises and it is equally important: “Where are the executive directors who look like me?” In the discussion around representative leadership, there has been no interrogation of the lack of ethnic diversity among executive directors. The position is one of the most powerful in theatre. If we are all committed to structural change in the industry, it would be naive not to address this. Leadership and power, after all, don’t just sit in the artistic office. It is unacceptable that Deborah Sawyerr’s recent tenure at Theatre Royal Stratford East and Stella Kanu at Ovalhouse have been the only non-white appointments in venues. Many people of colour thrive in business roles, the tech industry and entrepreneurship in wider society. So why hasn’t theatre, an apparent beacon of progressiveness, enabled us to have a presence in these jobs? Executive directors ensure an effective infrastructure is created for artistic visions to be realised. Surely then, we must widen the pool of voices influencing key decisions, whether these are to do with business plans, executive-producing a season or creating an inclusive workplace culture. People of colour must have equal access to every area of decision-making in the industry. Otherwise, it further perpetuates a colonial image that only our white peers are capable of doing these jobs – a stereotype that not too long ago was attached to artistic directors. The damage this attitude creates is endless: a whole generation of my administrative peers has been ignored and disempowered, made to feel they could not be future leaders. Many have left the sector, a sobering reminder that recent diversity rhetoric hasn’t always equated to positive change. How can young people of colour consider a career in arts administration if they don’t see anyone who look like them in these roles? People of colour are tired of diversity initiatives. This is an urgent issue and must be addressed with a more ambitious model. It is time for positive action to be at the heart of recruitment of the next wave of executive directors. Boards should actively be supported in broadening their networks to unapologetically find and hire people of colour. 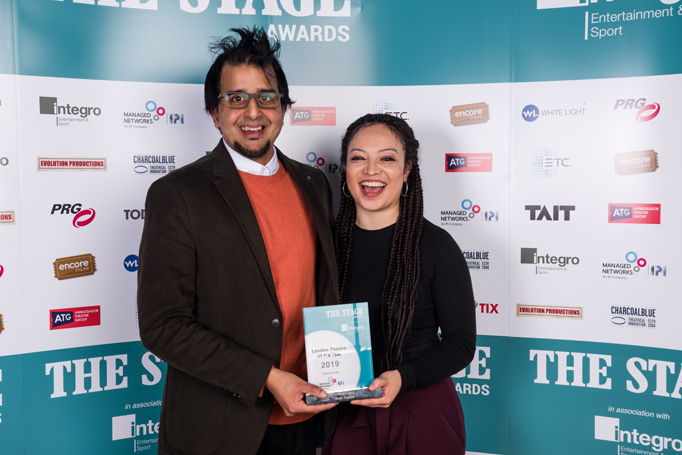 The recent London Theatre Consortium and MOBO fellows, who are people of colour on the brink of reaching executive director roles, show that these individuals absolutely exist. Theatre’s existence and relevance depends on continuing this drive for diversity in all areas. That way, decision-making will be informed, representative and nuanced. The executive director is undeniably at the forefront of this. I look forward to the day when the likes of Indhu Rubasingham, Kwame Kwei-Armah and Madani Younis are joined by a diverse group of women and men in executive director roles. If 2018 was the year of the artistic director, then let 2019 be the year when executive directors are brought into the fold.